I thought it might be fun today to talk a little about bookstagram and give you guys some tips to make a great account! If you don’t know what bookstagram is, it’s a community within Instagram that is all about books! A bookstagrammer posts photos of books. They might be books they are currently reading, a new book they bought, or a tag given to them by another person of a book or books. Some people have simple photo arrangements, and some people have elaborate spreads including other props like coffee cups and Funko Pops. It’s all up to you! < b>Tips for a successful account! < !–more–>Don’t wait to start your account until you feel ready. 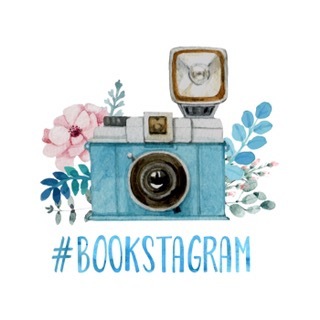 If you want to make a bookstagram account, do it right now! You might be scared or worried you won’t know what to post or won’t have the time. But if it’s something you can’t stop thinking about, just do it! There is no time like the present. You don’t need 1,000 books to run a successful account. People on bookstagram love books. They don’t care if they see the same book in a bunch of different photos. If you are posting nice quality photos and are being sweet to your followers, don’t feel like you need to run out and buy every new book the day it’s released. You don’t need to go buy a $500 camera to have a beautiful account and high quality photos. Most smartphones have really nice quality cameras already built in. I get compliments that my photos look great all the time, and I only use my iPhone 6 camera. Editing can make or break your photos. Setting the stage and taking the picture is only half the battle when going to post a photo. I think editing is a super important part of the posting process. It’s worth the extra time it takes. Some people use the filters and tool built into Instagram, which I also used as well. However, to get more variety and a better finished photo, I would recommend apps such as VSCO Cam (free with in-app purchase options), Snapseed by Google (free), and Afterlight (free with in-app purchases). All those apps are available in the Apple Store, and I believe other stores too. When you’re editing, don’t be afraid to mess around with the tools. The apps I mentioned have some great filters, but you might want to increase the brightness or tone down the contrast for the look you imagine. Play around with it! And if you like a few different designs, save them all to your phone and decide with them side by side. Take some time to figure things out, but try to settle on a theme for your account. A theme is a consistency in your photos. You might use the same filter each time, use the same prop like a scarf, use the same frame around every photo, or use the same background. Whatever it is, a theme is important to give your overall feed a polished look. It’s the first thing people see when they go to your account, before looking at individual photos. Lighting is everything! Before the editing or the staging or the books themselves, you need a good place to take your photos that shows them in the best way possible. Try looking through your camera at the place you are considering photographing. Does it look too bright? Too dark? Will the book look reflective and hard to see? I have seen a lot of lovely photos that would have been gorgeous if the lighting were a little different. Don’t forget to interact with your followers! You might not want to follow back every account that follows you, but it’s not bad practice in the beginning. When someone comments on your photo, comment back to them in a friendly manner and in a timely fashion. Most people in the bookstagram community are very sweet and make a lot of friends online. Don’t miss out on knowing them or waste time making enemies. Be active on other accounts as well! Occasionally comment on someone else’s photo. Give them a compliment or answer their question of the day (lots of users have them). Or just tell them whether you liked the book in their photo! It makes you seem friendly and also gets your name out there for other people who also follow that person to see. Plus, you might make friends! Post often! A good rule of thumb is about one post a day. Some days you might want to post more, and that’s okay. I recommend spacing posts out by a few hours so you don’t overwhelm your followers. And if you don’t post for a day or two, that’s okay too! And if you need to take time away, just put that in your caption so your followers know what’s going on! They’ll understand. And that way they know you’re coming back so they don’t unfollow. Watermark your photos! A lot of people I’ve talking to think their photos aren’t “good enough” to be stolen. I think most people are modest. By even if you think this, someone else might not. And seeing your photo used by another account without any credit given to you is awful. There is all your hard work, taken and the benefits are reaped by someone else. If you see someone take your photos, block them and report them. If you are interested in watermarking, I use an app called Phonto that is super user-friendly and customizable. If you participate in giveaways (and you should, they are awesome), and repost photos, go back and delete the photos once the giveaway is over. It keeps your feed looking clean and less like a giveaway account (bookstagramers don’t like those). Host your own giveaway! When you have the time and money, it’s nice to host a little giveaway for your followers. It is a reward for them and a way to show your gratitude to your sweet followers! It doesn’t have to be big. You can giveaway a book you’ve got laying around if it’s in good condition, or a $10 gift card to Amazon.com or Book Depository. Keep in mind those places may not ship to every country and that shipping to other countries can be expensive for you. Keep your photos mostly all book related. It’s okay to post pictures of other things occasionally, but for the most part people are following you to see YOUR photos of YOUR books. Everything else should be posted to a separate fandom account or personal account. If you have one of those, you can let your followers know in case they want to follow you there too!